I have a huge thing for jewelry, especially those pieces that have personality or sentimental value. Those are the ones that I always reach for. My favorite items are those that were gifts, are personalized, or passed down from someone I love. Those that tell a story. Those are the ones that earn a special place on my jewelry display. 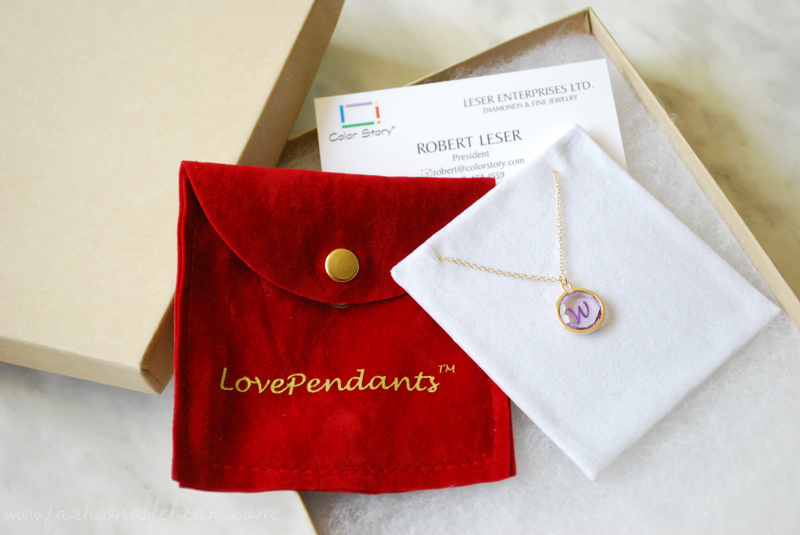 I've been talking back and forth with Robert Leser, creator, owner, and designer of LovePendants. He wears many hats! And he totally got that I am all about the sentimentality. I was able to create a necklace that is perfect for me. The pendants are very dainty and perfect for necklace layering. I want to put my charm on one of my chains that my grandmother gave me, but I'll have to take it to a jeweler to get them to switch it out. I really appreciate Robert including a chain to my order, which allows me to not have to rush out right away for the switch. You can choose to customize bracelets, necklaces, or just the charm. There are various color options, allowing you to choose the gemstone and symbol colors and what metal you want. Besides that, you can choose from initials, popular symbols, sorority letters, etc. While deciding what I wanted, I was torn between so many. At the end of the day, I'm a sucker for a good monogram. And purple. I love a good dose of purple. This is the back of the necklace. Robert engraves the gemstones from the back. The center on the front of the necklace is smooth. The clasp is an easy lobster clasp and extends to 18". 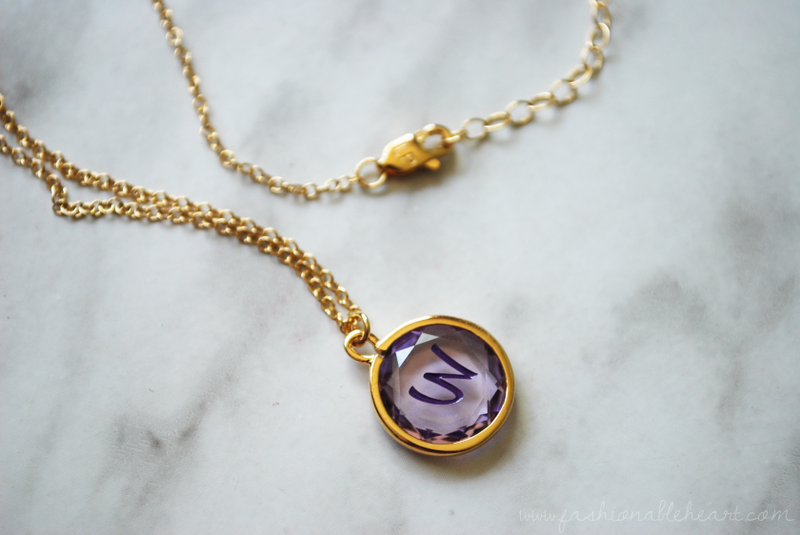 For the exact combination that I ordered: I got the initials pendant with an amethyst gemstone, purple engraving, and yellow vermeil. I am so pleased with my necklace and my experience in talking to Robert. I love this brilliant idea of his and I think they would be great to give as gifts! I am really appreciative to have had this opportunity, because I would hate to think that this company might have gotten past my radar. **This necklace was provided to me for reviewing purposes. All opinions and pictures are my own. There are no affiliated links in this post.